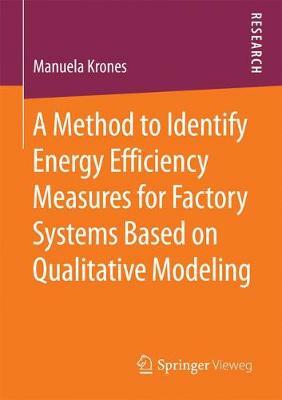 Manuela Krones develops a method that supports factory planners in generating energy-efficient planning solutions. The method provides qualitative description concepts for factory planning tasks and energy efficiency knowledge as well as an algorithm-based linkage between these measures and the respective planning tasks. Its application is guided by a procedure model which allows a general applicability in the manufacturing sector. The results contain energy efficiency measures that are suitable for a specific planning task and reveal the roles of various actors for the measures' implementation.